The concept of FEEDFOXX began when our founder was hired to plan and consult on an aggressive multi-store franchise launch. After years of consulting start-ups and sitting in on numerous marketing pitches with clients over her tenure of project development and business strategy; she was frustrated with high retainer fees and little transparency as to the deliverables. Agencies would pitch her clients with billboards, mail-outs, magazines, transit, print, and elevator ads…with some of these options having high ‘artwork fees’ of up to $10,000 per campaign, not including the cost for the monthly ad space and agency retainer fees. With the current shift in technology, consumers are now getting immune to print marketing by disregarding it or throwing it away – MONEY IS BEING WASTED on huge mark ups, all while TV and radio commercials are not only still costly, but they are losing their audiences to Social Media platforms, online forums/channels, and satellite radio. Facebook now has 2 Billion users (95% of the planet) with a large percentage of those users having active Instagram and SnapChat accounts. Social Media platforms are capturing individual buying and behaviorial data, so we can now effectively target potential customers who are actually looking for or want your product or service…and we can accurately measure the results! This allows us to have a lot of control in leveraging your marketing dollars – rather than wasting it. 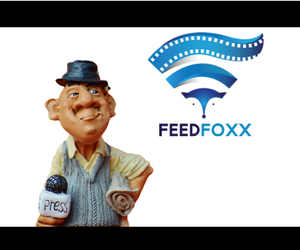 Marketing is the ONLY effort that brings in customers to keep your business profitable and FEEDFOXX cares about sustainability. We want businesses to get a piece of the market share by increasing brand recognition with Social Media Advertising and converting leads with a strong automated digital sales process. We strive to be supportive and transparent as your expert digital partner, helping businesses access the latest digital marketing solutions so each company can become and stay profitable.